Andrew Gordon is a Baker student at Cornell University. His coverage area is Real Estate Finance, Investment and Technology. He can be reached for comment at Ahg63@cornell.edu. 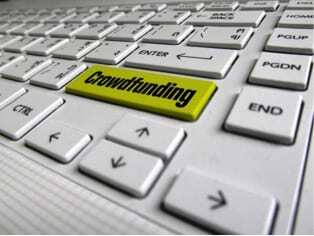 Online crowdfunding is a model that has become increasingly popular over the past decade. Crowdfunding is defined as the practice of funding a project or venture by obtaining small amounts from individuals via the Internet. Several crowdfunding platforms exist and each one serves a different purpose. Some of the most popular are: Kickstarter, Indiegogo, Crowdrise, Razzo, GoFundMe, and Patreon. These platforms primarily focus on the funding of small businesses, start-ups, entrepreneurial ventures, community-oriented projects, and charitable causes. Following The Jumpstart Our Business Startups (JOBS) Act of 2012—a law that constituted the opportunity for crowdfunding platforms to market private investments to the public—growth and participation in the practice has risen dramatically (Kaufman, 2018). Essentially, the JOBS Act allowed non-accredited investors to participate in previously restricted markets. Since the introduction of the JOBS Act, other industries have utilized the crowdfunding model, leveraging the platform to obtain alternative sources of funds. Real estate is among those industries and crowdfunding has become an important conduit for real estate financing, but there are concerns over the effectiveness and viability of the model and its application for potential investors seeking real estate exposure. Real Estate crowdfunding is a relatively new concept that has allowed real estate developers and companies to obtain investments from an entirely new class of investors. Initially, real estate crowdfunding was limited to accredited investors (Casey, 2018). Following the JOBS Act, real estate crowdfunding has expanded to non-accredited investors who are making less than $200,000 annually (less than $300,000 including a spouse) with a total net worth of less than $1 million when their primary residence is excluded (Vasylieva, 2018). Previously, non-accredited investors interested in real estate could only access institutional-quality real estate assets by investing in real estate investment trusts (REITs) and private equity funds. These types of investments have a few drawbacks for investors. REITs allow individuals to invest in a portfolio of real estate assets, but these portfolios are a pre-determined selection of properties and asset types. Private equity real estate funds are often cost-prohibitive and lack transparency. They generally have minimum investment requirements that are too steep for the average potential investor looking to diversify his or her portfolio. Direct investment in real estate properties is another alternative for individuals, but the amount of time and energy required to effectively own and manage a property is often demanding and does not always yield desirable returns. These barriers to investment have created a unique value proposition that real estate crowd funding seeks to exploit through passive investment. Real estate crowdfunding platforms can raise debt and equity investments from accredited and non-accredited investors. These platforms differ in terms of investment offerings, accreditation requirements, and minimum investment sizes. RealtyMogul and EquityMultiple are platforms that connect individuals and institutional investors with sponsors and lenders seeking capital for their investments. Founded in 2012, Fundrise is another real estate crowdfunding platform that allows individuals to invest in private market real estate, including the new World Trade Center. Fundrise has originated approximately $343 million in both debt and equity investments deployed across roughly $1.9 billion of real estate assets. Crowdfunding sites usually charge the sponsor a fee (for listing the investment on the platform) and a servicing charge for each investor who participates in a deal. Typically, investments in crowdfunding platforms like Fundrise are relatively small amounts of money that commonly fund real estate projects and developments. Compared to traditional types of real estate investment vehicles, real estate crowdfunding often has lower fees and allows investors to be more selective in choosing certain assets that satisfy their specific investment preferences and risk profiles. Real estate crowdfunding has emerged as an affordable alternative for individuals to invest in institutional-quality real estate assets. Despite its growth, crowdfunding remains a relatively new concept with limited market share—accounting for approximately $5 billion of volume annually in a U.S. real estate market that measures in the trillions of dollars (according to an estimate by PwC). Is Crowdfunding a Viable Platform for Real Estate Investment? Real estate crowdfunding provides investors with the opportunity to access certain real estate markets and investments that were previously not available to the average investor. Like any other type of real estate investment, however, there are inherent risks. Real estate crowdfunding investment is often a long-term commitment that can be difficult to liquidate. Transparency is another concern for investors interested in real estate crowdfunding. Crowdfunding platforms, primarily tech companies, must possess and communicate the knowledge and expertise of real estate fundamentals to establish trust within the marketplace. The success of these crowdfunding websites also relies on the relationships and deal offerings provided, aspects of the business that require extensive work and due diligence. Investors must rely on sponsors (who are listing their projects on these platforms) and their ability to effectively manage a real estate asset. Of equal importance is the ability of the potential investor, many of whom lack the knowledge in real estate investment and finance, to effectively evaluate prospective deals and local market dynamics. Additionally, depending on the platform, investors may have to pay extra fees associated with construction, operations, and management of an investment. As the industry matures, it will be interesting to see how these crowdfunding platforms perform.